At Franchi Brothers Auto Body, we have dedicated our lives to making yours easier. We understand that dealing with the insurance claims process after a collision can be frustrating, so we will deal with your insurance company on your behalf. Our shop is an insurance approved facility, and have three licensed appraisers on our staff to handle all of your needs. You’ll never have to worry, because our team will get an insurance estimate, handle the transportation and towing of your vehicle, and schedule time for your vehicle’s auto body repair. Worcester, Northborough, Westborough and Shrewsbury area customers have come to us for decades as the area’s one-stop, collision repair shop. Our mission is not only to take care of all your paperwork, but also provide you with a stress-free experience when bringing your vehicle in for collision repair service. In our comfortable waiting room, we offer you free Wifi, coffee, and water. For your convenience, we provide free shuttle service to get you to the places you need to go around Worcester. Auto body repair can often require some extra time, so we will also take care of arranging a rental car for you if needed. When it comes to auto body repair, Worcester area locals know that our team at Franchi Brothers Auto Body ensures a simple, pleasant experience. We have appreciated our loyal customers since 1936, and we continue to welcome new customers. If you’ve had great service at our shop, please refer us to your friends, family, and co-workers. Simply print off the form, and when your referral comes into our shop for service you will receive $25 off your next auto body repair! 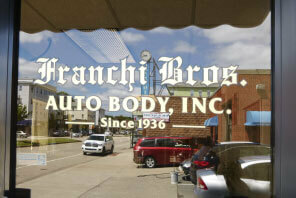 Franchi Brothers Auto Body was founded in 1936 at its current location in Worcester, MA. Original owners Ermanto Franchi and Joe Franchi were the brothers that started it all. Eventually, the business was passed down to Ermanto’s son, Robert Franchi, Sr., and then again to his son (and current owner) Robert Franchi, Jr. Even now, Robert’s son works in the business in preparation to take on the family business one day. 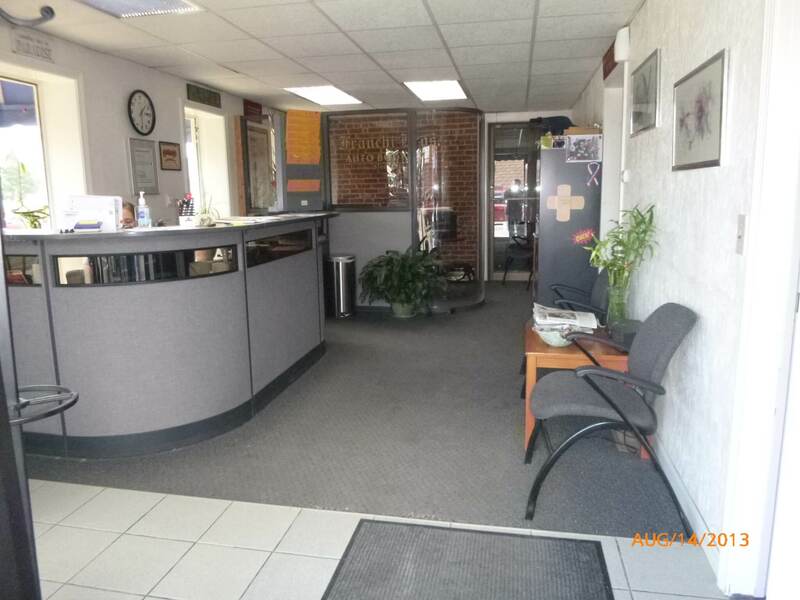 Our Worcester auto body repair shop has been in the same location since its beginning and has served as a landmark of our local area. We have over a dozen employees, and most of our team has grown up around Worcester. Auto body repair service is our business, but our true passion is providing the most convenient experience possible for our loyal customers. We take the time to handle your insurance work, provide you with a rental car, and restore your vehicle so that you don’t have to worry.